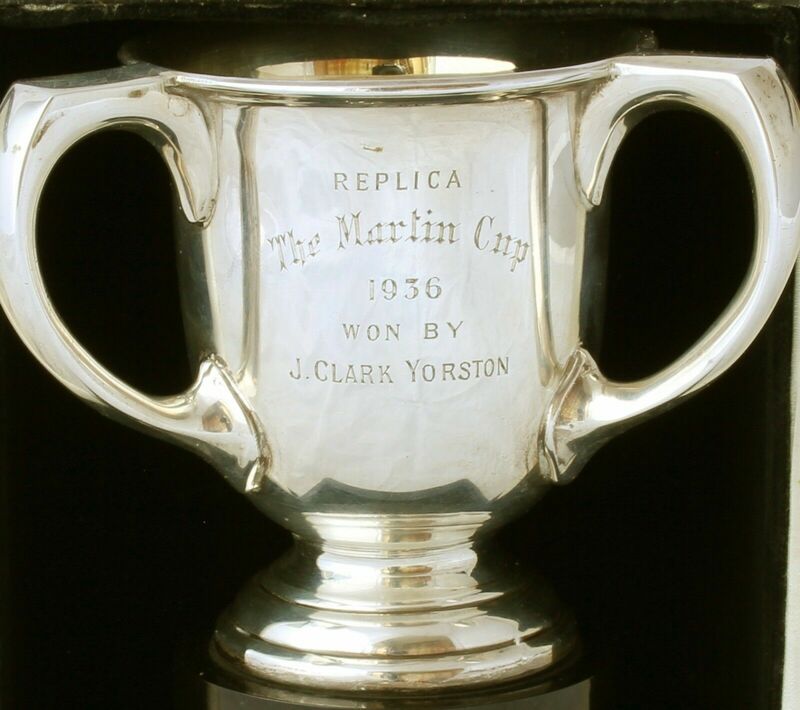 Solid Silver Three Handle Boxed Sports Trophy The Martin Cup Laing Glasgow 1935. 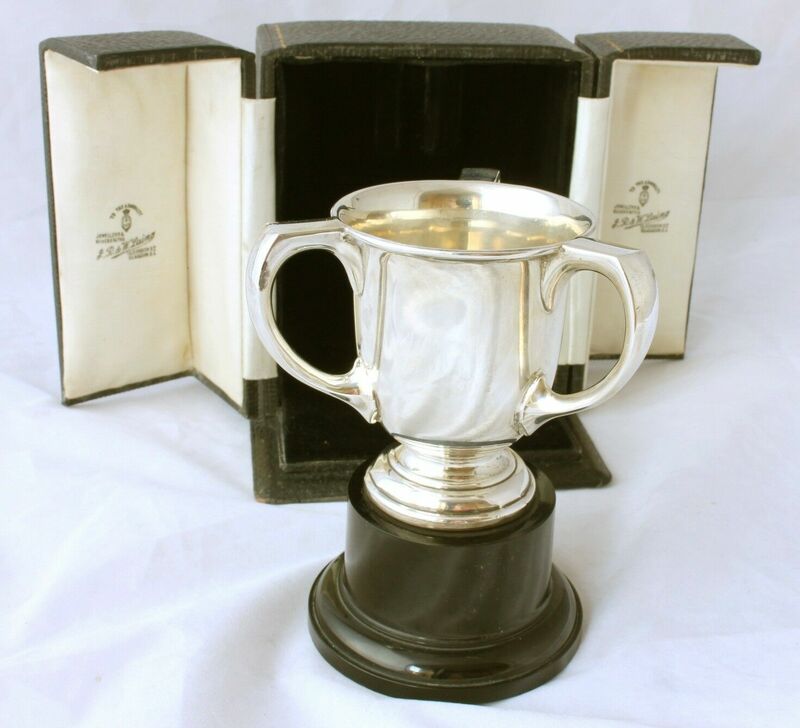 This fabulous solid silver trophy cup which dates from the early 20th century has a good heavy gauge and is an unusual design having three handles. 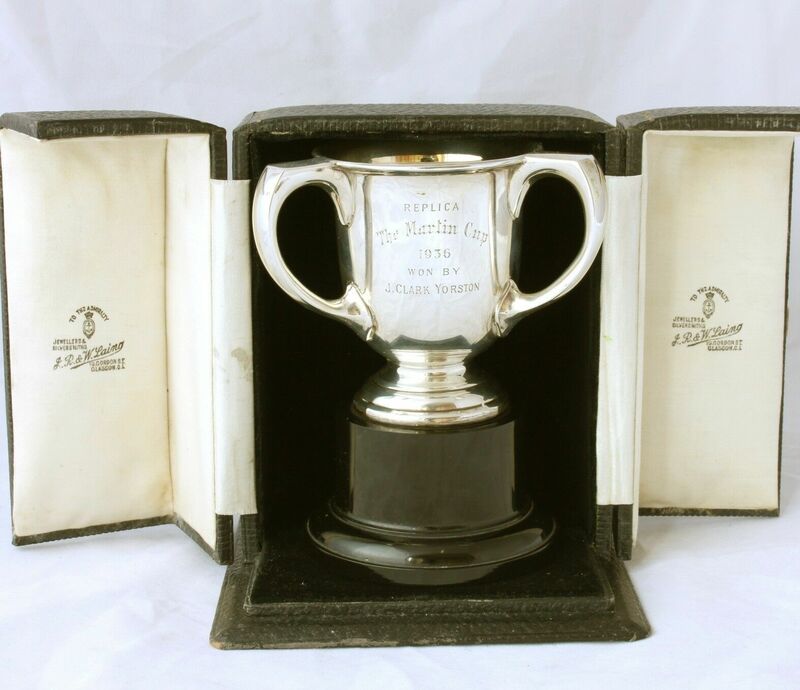 This wonderful trophy sits on it's black stand, comes in it's original presentation case and has an interesting inscription that reads..
L R & W Laing. 10 Gordon St Glasgow CL. 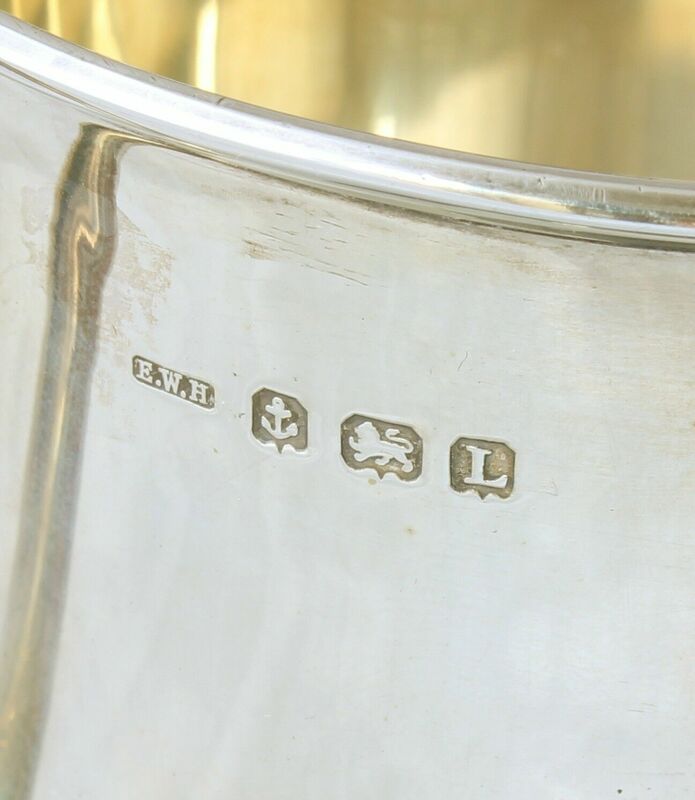 Jewellers & Silversmiths To The Admiralty and Laing Glasgow is also engraved twice to the bottom of the silver cup. 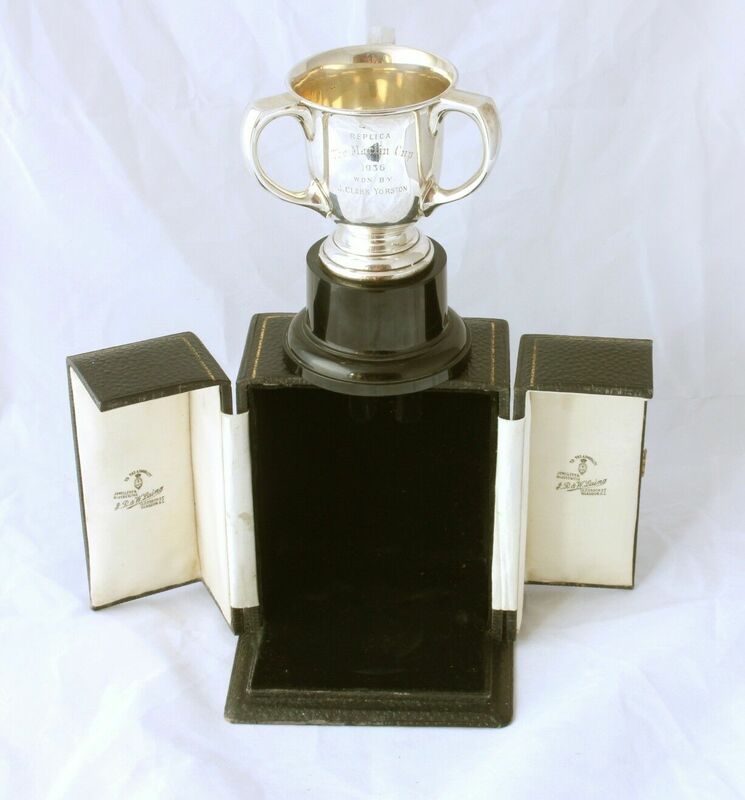 This silver trophy cup is a very nice quality item that feels heavy in the hand and looks fantastic on display. Would make a unique collectors piece for a sports fan or silver collector. 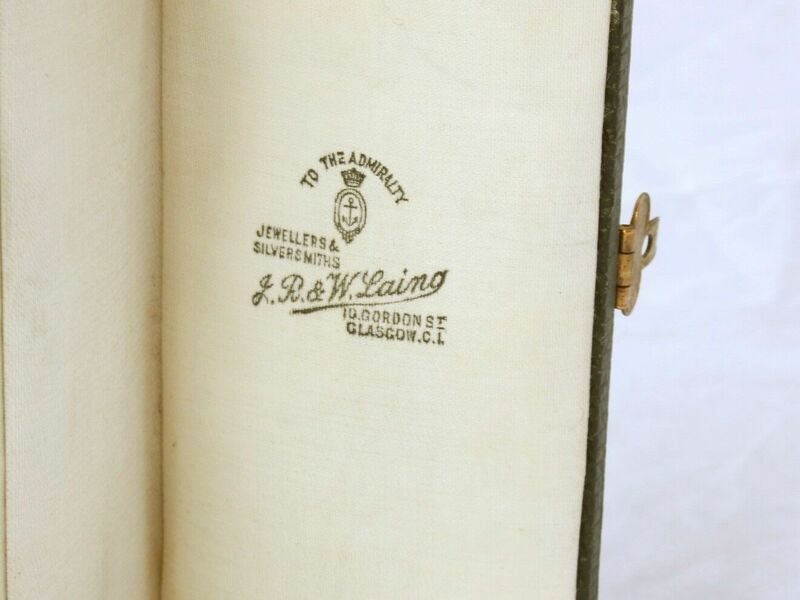 Hallmarks: Birmingham. Date letter L for 1935. Maker's mark E.W.H for Ernest W Haywood. Height of cup including stand: 14 cm (5 1/2") approx. Width across at handles. 11 cm (4 1/4") approx. Weight of silver cup only: 172 grams. Condition: Very good antique condition with only light signs of use in keeping with age. Some light marks, surface scratches and light tarnishing. Some dents to the foot of the cup where the clips that attach to the base. Presentation case is the original and is in very good condition with only light wear. Please see all pictures.